Everyone loves the idea of a knight in shining armor coming to save the day. Knights originated in the Middle Ages and were men who served their lord of sovereign as a mounted solider who rode horseback in armor. Many a young boy or man has dreamed of what it would have been like to be a knight, while many young ladies fancy the idea of a noble knight rescuing them. 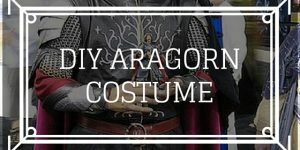 This is why so many people like to dress up in a knight costume for Halloween or cosplay events. 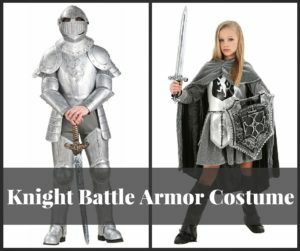 Here we look at some great knight battle armor costumes to allow children and adults of all ages to live out their Medieval role playing. 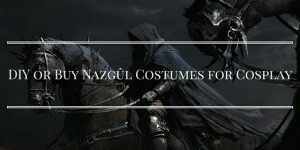 This is a standard size adult costume that includes shirt, pants, arm guards, leg guards, helmet, hood, shoulder and chest armor. 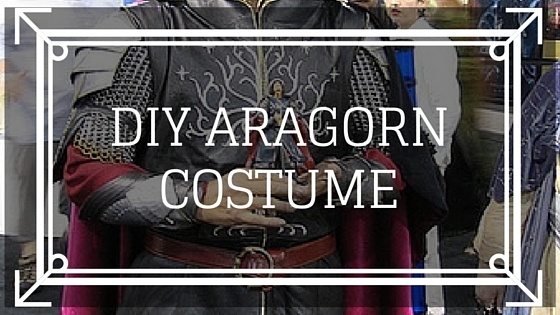 Shirt is a long sleeved V-neck pullover and plastic armor is painted silver to look metallic and fastens with Velcro. Fabric pieces are made from 100% polyester and pants have an elastic waistband. Pieces of armor have embossed rivets and joints and chest piece armor is embossed with a lion in the center of it. 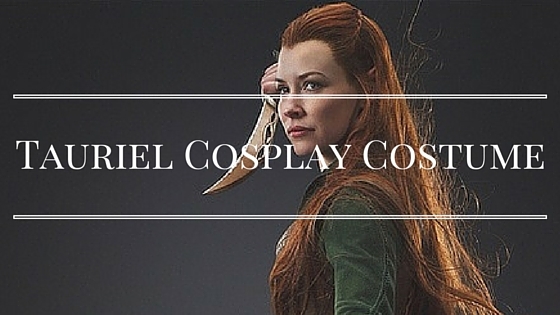 Makes an ideal costume for Cosplay or a Renaissance Fair or dress up Medieval event. For an authentic knight costume perfect for Cosplay or historical battle re-enactments, this chain mail completes the look. Made from butted metal links with a large opening for the face. 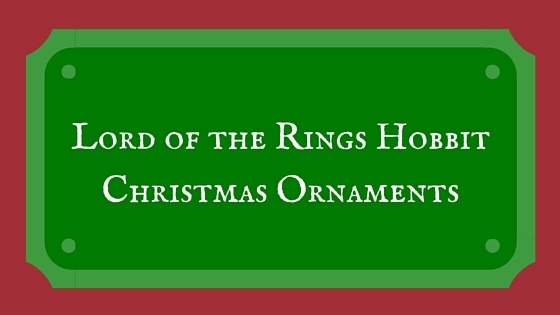 Measures approximately 18 inches long and drapes down to the chest. 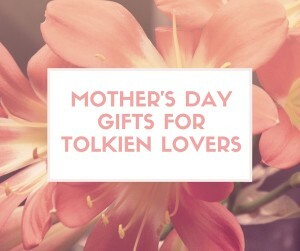 No knight would be caught going into battle without this vital piece of protection. 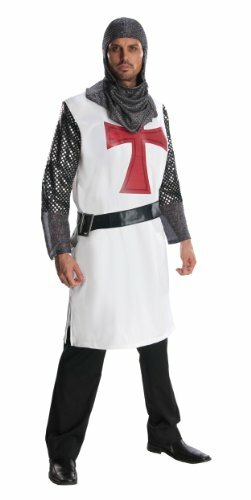 Look the part of a knight heading out on a Crusade with this great costume. 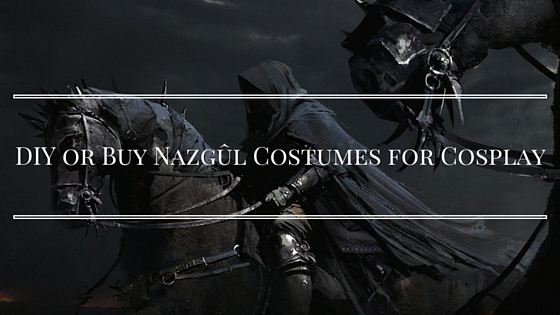 Available in sizes S/M and L/XL, costume includes tunic, cape, medallion, hood, belt, and pair of gauntlets. 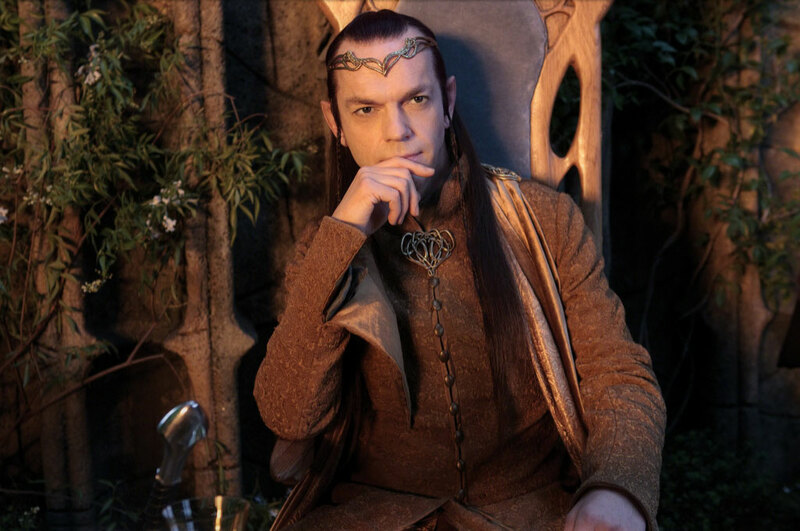 Various pieces of the costume are made from 100% polyester interlock knit and double knit fabric, 75% polyester and 25% metallic mesh, and 100% polyurethane foam .Tunic features interlock knit and metallic mesh sleeves and has a printed coat of arms on front center. Shoulder pads are made from foam. Tunic fastens with ties at back of neck and the double knit cape fastens to the tunic with Velcro straps on the shoulders. Foam gauntlets simply slide on and faux leather belt has a plastic silver buckle. The metallic mesh hood covers both the head and the neck and molded plastic medallion fastens with a pin at the back. 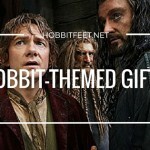 Hood and gauntlets are silver, while cape is black on the back and red underneath. Front of tunic is black , with a white, red, and black coat or arms. 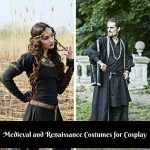 Combine costume with black jeans or pants and black boots for a terrific Medieval look. 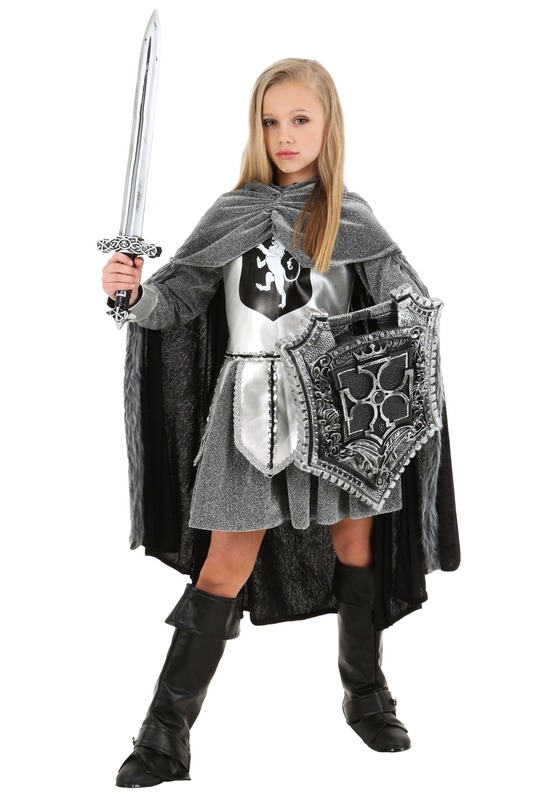 Historically, knights may have been male, but in modern society, little girls also get to play the part of a valiant knight for Halloween or Cosplay fun. Available in child sizes small, medium, large, and extra large. 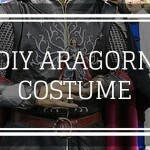 Costume includes dress, cape, boot covers, and headpiece. Made from 50% PVC and 50% polyester. Dress has sheer sleeves, pleated design with sequin trim, and zips in the back. Boot covers attach with elastic bands that go under the foot and headband has an elastic band, Hooded cape features faux fur trim and goes over the neck. 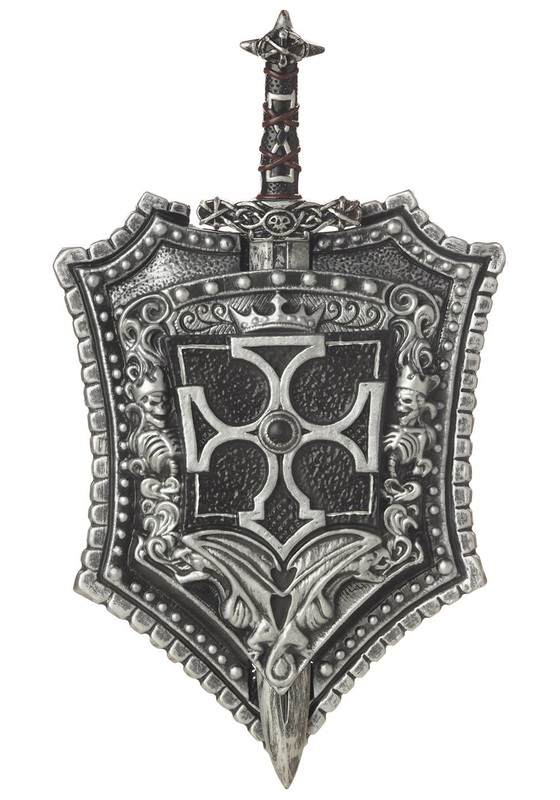 This costume is done in the colors silver, gray, and black and looks great with the Crusader shield and sword combination to add the finishing touch. Plastic shield has woven handles and is engraved with dragons and sword fits into the shield for handy storage. The blackish/gray/silver color of this set looks perfect with the girl’s knight costume. Pretend you are going off to battle in one of the great Crusades. 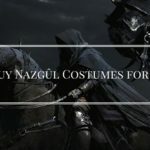 Available in sizes extra large and standard, this costume includes tunic, belt, and headpiece. Made from 100% polyester and can be hand washed. Tunic is white and features silver sleeves and a red cross decoration. 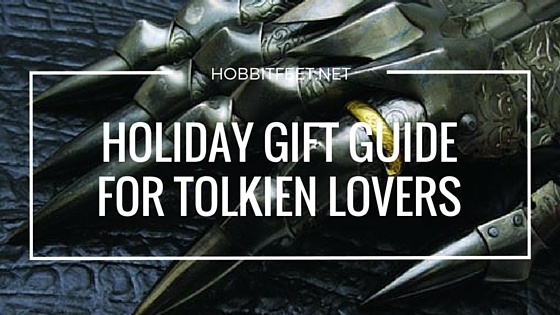 Headpiece is a silver-gray color. Add a pair of black pants for a complete look. 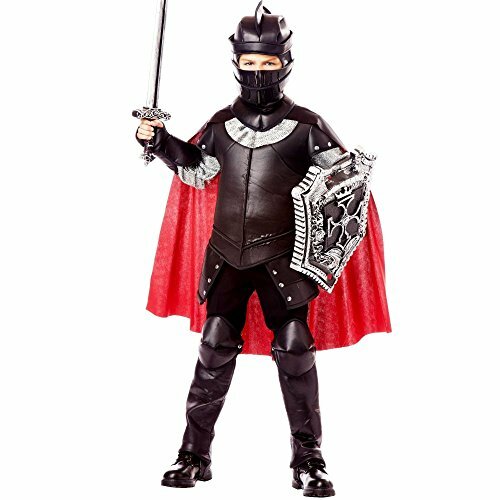 Available in sizes small, medium, and large, this costume includes an armor top piece with sleeves attached, two toned cape that detaches, two boot tops, two gauntlets, and a helmet with a face guard that goes on or off. Combine with dark shoes and pants for a great look. 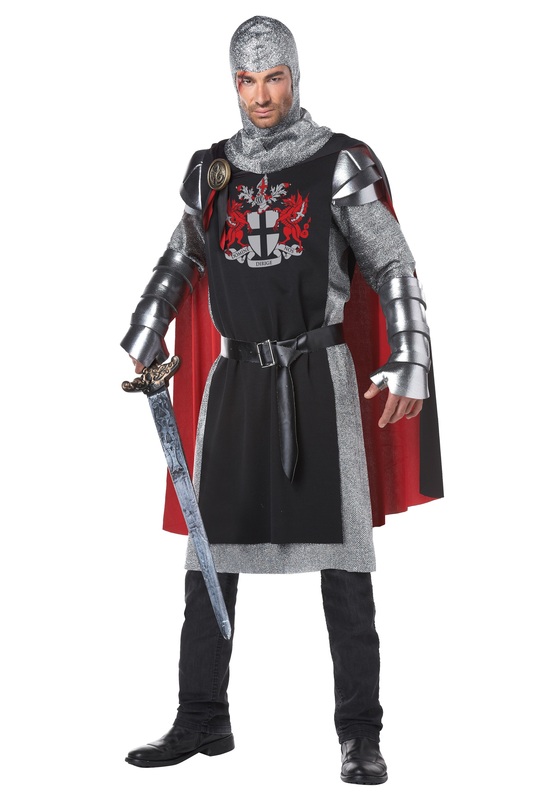 Accessorize costume with a shield and sword to really look the part of the Black Knight. Made from polyester with a foam body armor and soft foam helmet. 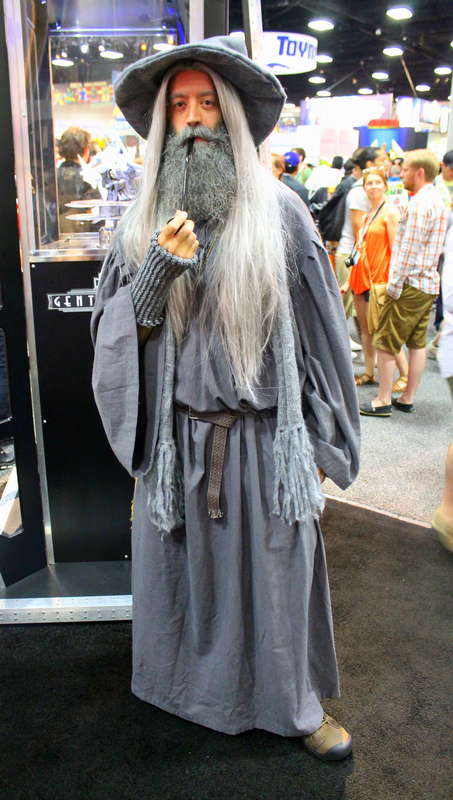 Sleeves and collar are a silver-gray color, and rest of the costume is black in color. 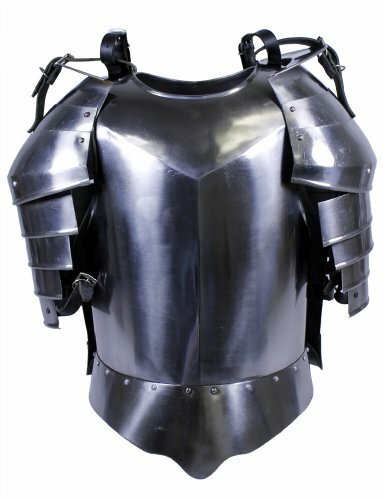 This breastplate is made of steel for a truly authentic look. Measures 20 inches tall and 15 inches wide with shoulder plates 16 inches long and 10 inches wide. Quality construction that is hand finished. This is a one size fits most item. 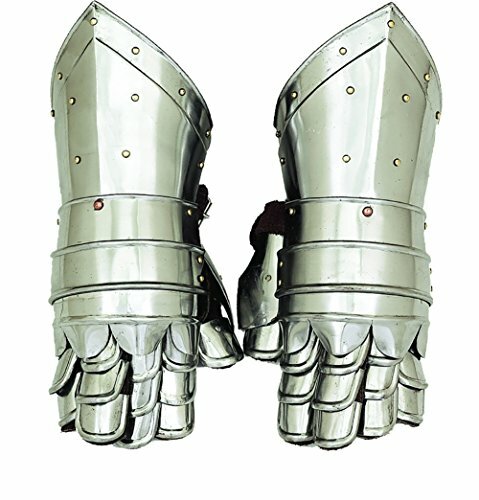 These gloves are the perfect addition to any knight costume and help to give an authentic look. Made from 18 gauge mild steel. 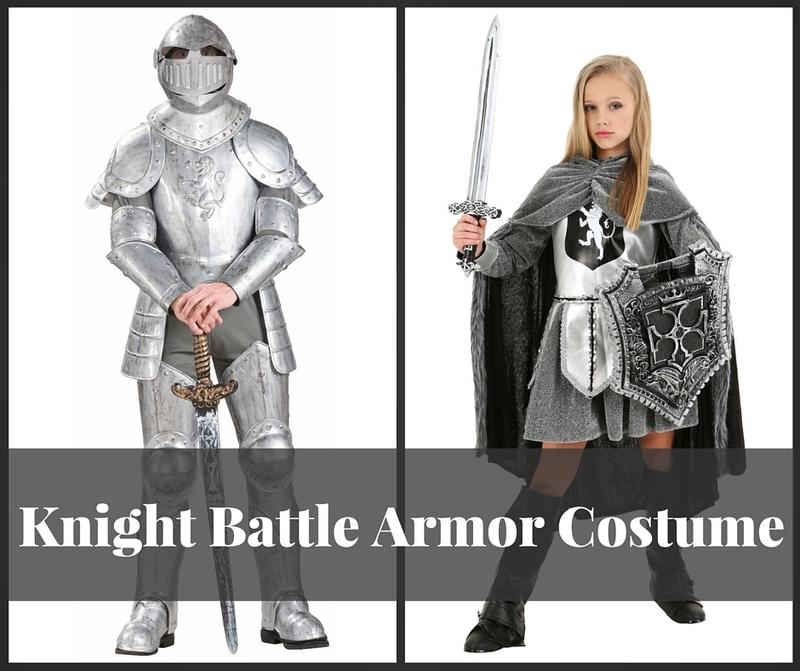 There are so many variations of knight costumes for kids and adults that it is hard to choose. 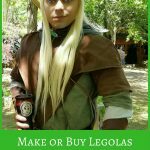 Many of these will work for Game of Thrones costumes as well. 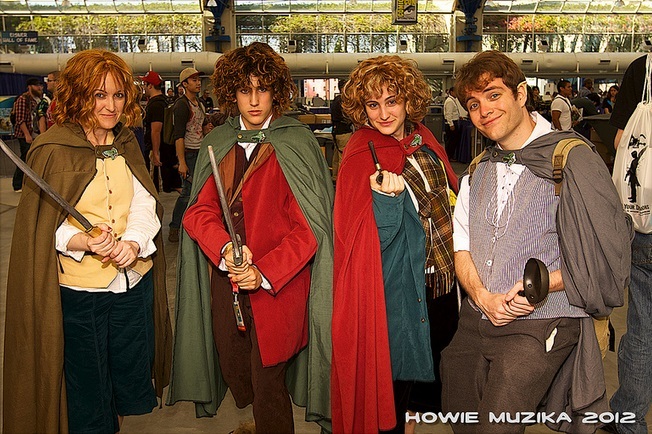 Some are specific to a time period while others imitate fictional character costumes. 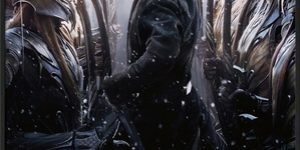 The first one shown below resembles the Night’s Watch or Jon Snow’s costume from Game of Thrones which is set in a medieval setting. 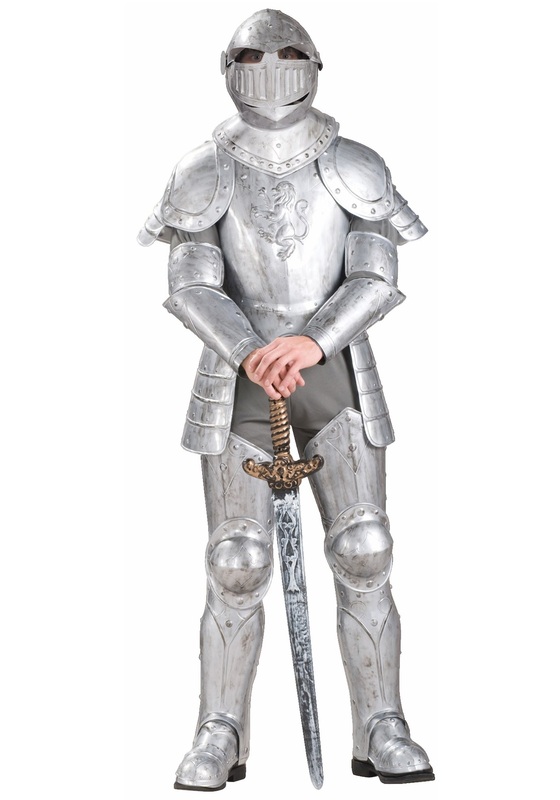 However, some are copies of armor from the Crusades and there are even Lego knight costumes (which are not shown here). To get the pricing, sizes and availability click any of the links below.